One of the possible ways golf course operators can increase revenue is attracting women to play not only the game but specifically golf at their particular course. However the four factors which work together preventing people to take up the game, which to a very large degree includes new women players, must first be addressed and solved. 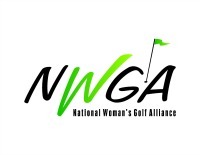 These four factors (expense, time, difficulty and intimidation) should be at the top of any facility’s to-do-list with the goal of making their operation one which women and all golfers will want to play and return to play. I translate that to mean making the game more fun by identifying and overcoming the barriers the game and golf course industry has had to women learning and playing. Courses are eligible to earn a “Rolling Out the Green Carpet” certification which is useful in their advertising and public relations by letting women know their facility is working to be welcoming and attractive.